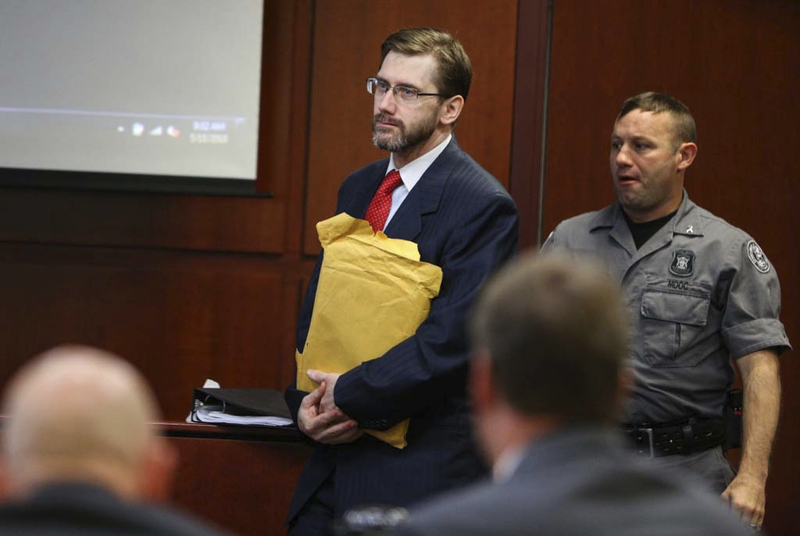 MUSKEGON, Mich. (AP)  Jurors convicted a man Wednesday of kidnapping and killing a western Michigan gas station clerk whose body has never been found. The Muskegon County jury deliberated about 1Ω hours before finding Jeffrey Willis, 48, guilty of first-degree murder in the death of 25-year-old Jessica Heeringa, a mother of a 3-year-old son who disappeared in 2013 while working late at a gas station in Norton Shores. Willis was also convicted last year in the 2014 fatal shooting of jogger Rebekah Bletsch. He’s already serving a life sentence in her death. Willis showed no emotion as the verdicts were read, and he quickly was escorted from the courtroom. Muskegon County Prosecutor D.J. Hilson embraced police investigators who worked for years to build the state’s case. Hilson presented a mostly circumstantial case. He told jurors that Willis had computer files containing information about Bletsch and Heeringa. Although Heeringa’s body has not been found, Hilson said there was ample evidence to convict Willis in her death.